The U.S. Forest Service has a new version of this backcountry map, printed in 2015. 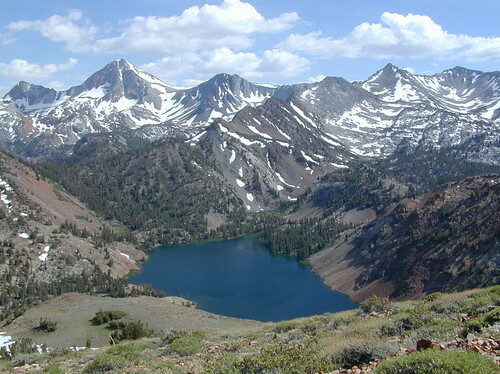 Mokelumne Wilderness is located in the Central Sierra Nevada mountains, above Gold Country foothills, in between Hwy 88, 89 and 4; due south of Lake Tahoe. Fish, mountain bike, kayak, camp, backpack, horseback. It is all out here in gorgeous-ville. Lakes and peaks, rivers and creeks. All of this beauty and adventure waiting for you, but only accessible half the year (or less) – due to snow. Certain areas are designated for winter recreation, cross country skiing and snowmobiling. 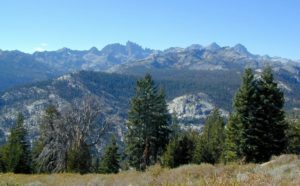 Mokelumne bordered by 3 National Forests, in the middle of the Sierra Nevada mountain range: Stanislaus NF, El Dorado NF & Toiyabe NF. 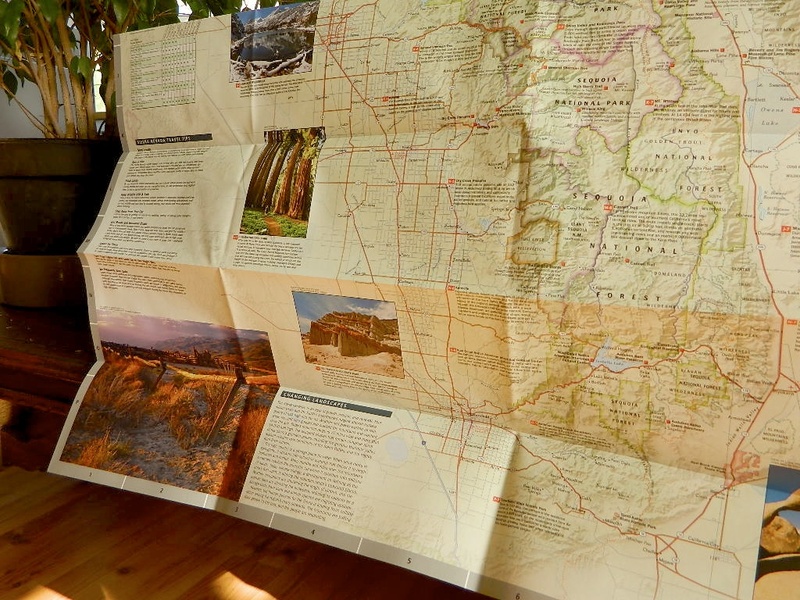 National Geographic produces high quality topo maps with Trails Illustrated. 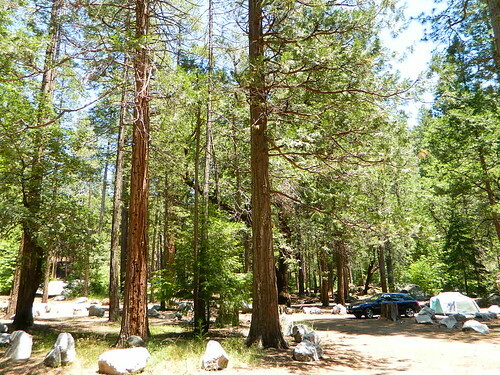 High elevation, outdoor recreation highlights, trailhead parking, all roads, all trails, all campgrounds, peaks, lakes,. GPS info. Full color, 2 sided map. Border the wilderness lands for day hikes and camp on the outskirts, or do a backpack weekend, or horse pack adventure – deep into the untouched country. Trails Illustrated Map from National Geographic. Mammoth Lakes & the Sierra Nevada Mono Divide on one map #809. 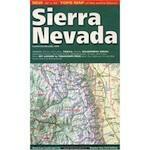 This map covers areas inside Inyo National Forest & Sierra National Forest. 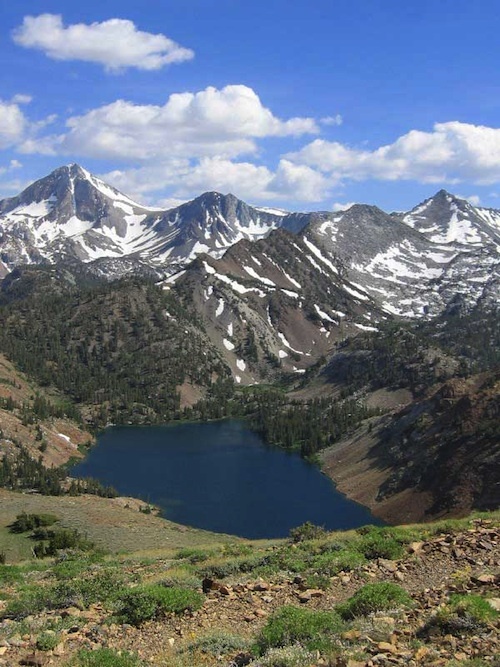 Many know the Eastern Sierra & US Hwy 395, but few know about the Mono Divide, deep in the majestic Sierra Nevada, way up behind Mammoth Lakes. 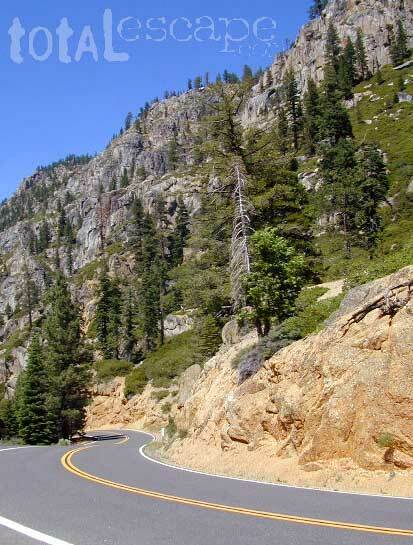 Mono Hot Springs, Highway 168, back beyond Huntington Lake & Kaiser Pass. Florence Lake, Edison Lake, Vermillion Camp. Only on foot connects the Western Sierra with the steep granite ridges and deserts on the east side. This colorful, popular, Sierra Nevada Map published by Imus Geographics, features all outdoor recreation – for just about any adventure seeker or tourist. 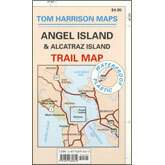 A great overview map w/ trail heads, paved roads & camping. Map shows Sierra Rivers & Lakes, Sierra hiking trails, backpacking routes, National Parks, all Sierra Wilderness Areas, towns, Campgrounds. From Mount Lassen to Tehachapi Pass. Map includes most of the California Central Valley: San Joaquin Valley Map. 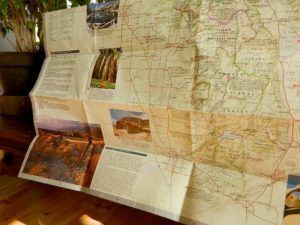 Topographical map can be used for trip planning, routing, driving to Sierra destinations, reference. This one is a decent map for planning out trips and getting a good feel as to the ‘lay of the land’. 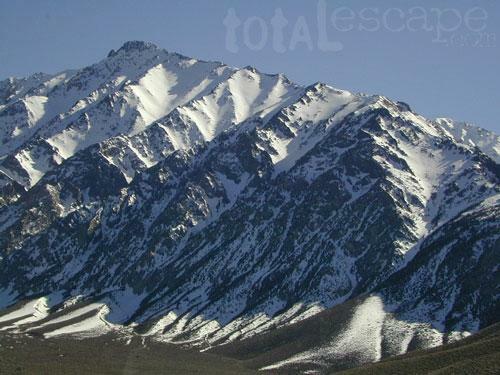 Much of the mountain range can only be crossed on foot, as there are no roads across the mid-section!